Defend-A-Bed stays true to its name. This terry cloth waterproof protector saves your mattress from allergens and damage from liquids. The best part, however, may just be its price! Read on for my full review. The care instructions on the Defend-A-Bed protector are slightly different from other protectors I’ve reviewed. The instructions say to wash the protector in hot water. Also, be sure to both wash and dry the protector with towels and linens. You can also tumble dry the protector on medium heat. Most mattress protectors – especially ones that are waterproof – suggest you dry your protector on a low tumble dry. Drying protectors on too high of a heat can damage the waterproof membrane on mattress protectors. I recommend to always follow the specific set of care instructions for your protector. 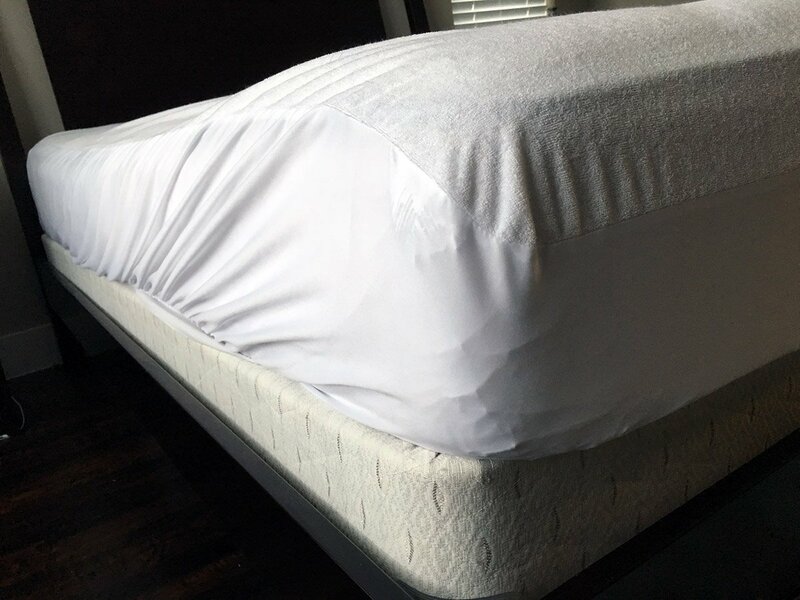 As I mentioned at the beginning of my review, this protector is intended to defend your bed and there’s no better way to do that than to protect your mattress from spills and accidents. Often, water or liquid stains and damage will make your mattress warranty invalid. I poured 10 oz of water into the center of the Defend-A-Bed mattress protector. I waited two hours and lifted up the protector to feel underneath for any moisture or dampness. I had no issues with leaking or water with the mattress protector. 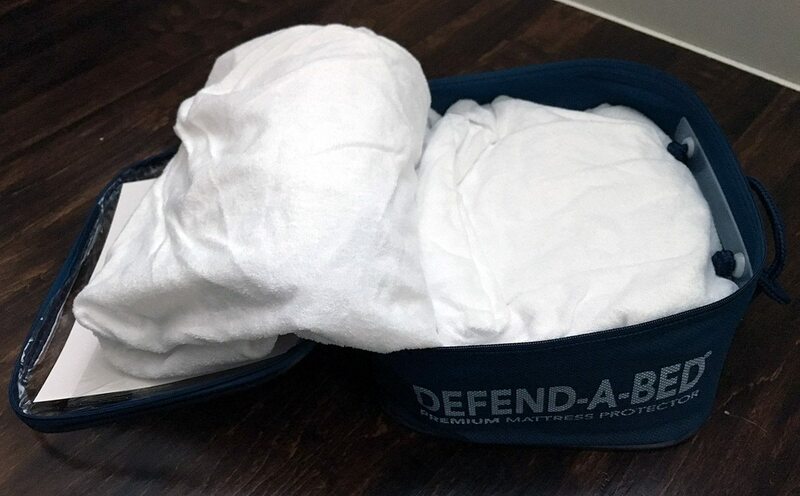 Defend-A-Bed says that it can protect from water damage for up to one pint of liquid for twin-size protectors and two pints of liquid for king-size protectors. While the protector did not receive many negative reviews online, the majority of them came from people whose mattress protectors leaked. It may be worth testing the protector after washing it just to ensure it is has maintained its waterproof properties. Lately there has been a lot of attention around the toxicity of plastics, including PVC (also known as polyvinyl chloride or vinyl). Products that contain vinyl or PVC – like mattress protectors and curtains – can release toxins into the air (often called off-gassing) that have negative health effects. This is especially concerning for babies or small children whose bodies are still developing. It is best to avoid using products made of PVC or Vinyl – especially if you have little ones. This protector uses a synthetic resin (plastic material) called Polyurethane as the waterproof barrier. Other vinyl-free mattress protectors include Luna, SafeRest, SureGuard and Linenspa. Size: Based on my experience, the Defend-A-Bed protector is best for thicker mattresses. The thinner the mattress, the more material – both on the surface and on the skirt – to move around the bed. Noise: The extra material on the protector made it more susceptible to noise, I believe. When I moved around on the bed, there was a noticeable amount of rustling and noise. Breathability: The protector uses a polyester terry cloth surface material that is supposed to help with breathability while also protecting your bed from allergens, dust mites, and liquid. I had no issues with breathability in the bed. 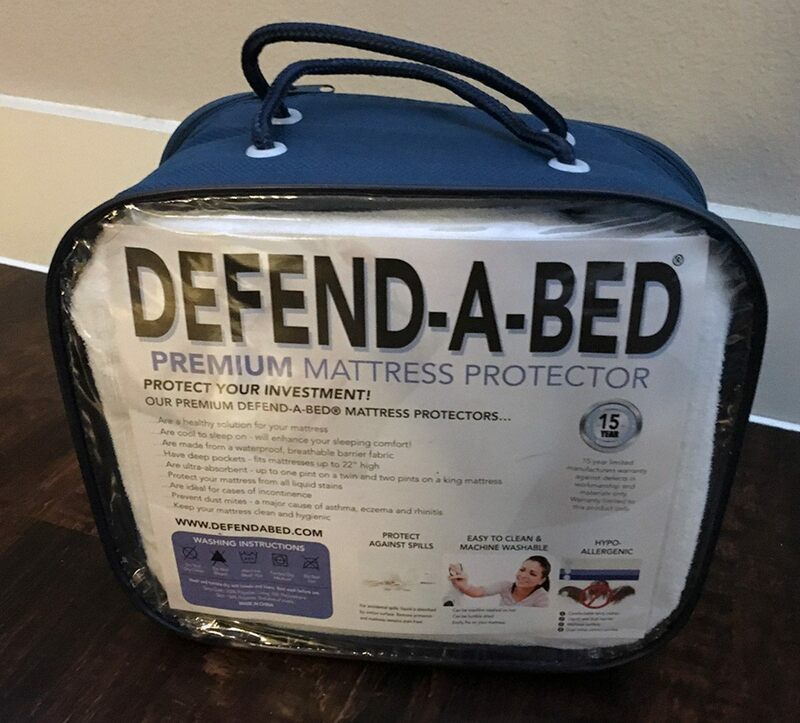 Overall, I thought the Defend-A-Bed Premium Mattress Protector is a good and simple waterproof mattress protector at an affordable price. It is better for thicker mattresses and people who put it on thin mattresses may have extra noise and movement with the additional material. On Amazon, the price of the Defend-A-Bed Premium Mattress Protector ranges from $14.00 for a Twin to $22.00 for a Cal King. This price is very affordable for a standard waterproof mattress protector. 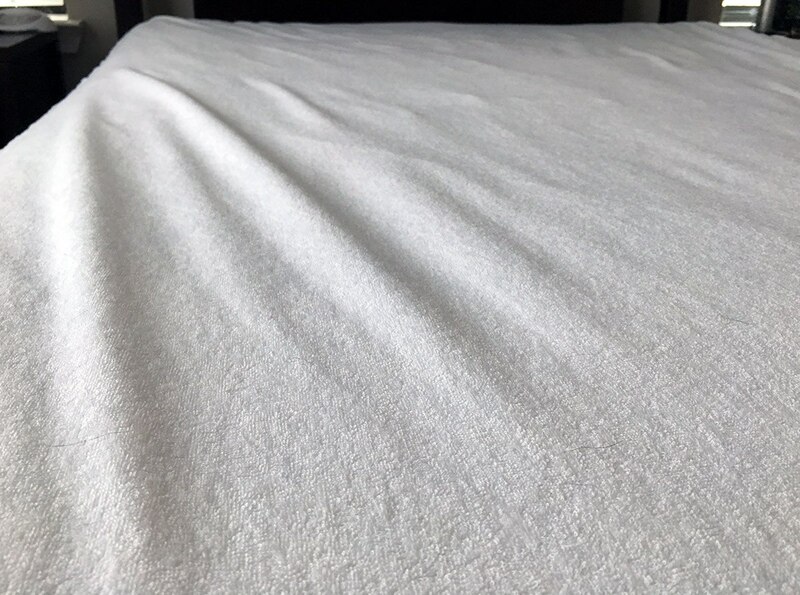 If I had a thicker mattress I would highly recommend this protector if you are looking for a simple and straightforward waterproof and hypoallergenic protector.